This is a little-known work by Prokofiev that is both exotic and imaginatively orchestrated. The composer, already known in the Soviet film world for his 1933-1934 score for the Alexander Feinzimmer film Lieutenant Kijé (which would become vastly more famous than the movie), furnished music for Alexander Tairov's 1934 play Egyptian Nights based on Pushkin's Cleopatra, Shaw's Caesar and Cleopatra, and Shakespeare's Anthony and Cleopatra. The play was not a success, but Prokofiev salvaged the music's best moments when he extracted a seven-movement suite from the score in 1938. 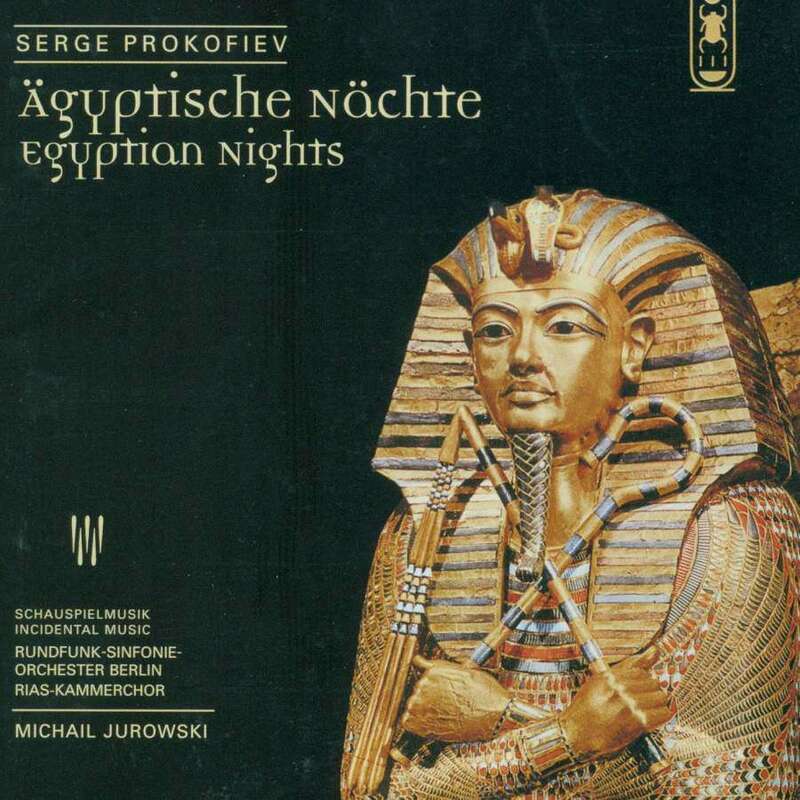 The first section, "Night in Egypt," marked Adagio, is haunting and deftly atmospheric in its six-note motto, delivered by two flutes over quivering strings. The ensuing number, "Caesar, the Sphinx and Cleopatra" (Andantino), features an exotic, mysterious theme that will flower into a more seductive, if slightly ominous creation in the sixth movement. "The Alarm" (Allegro inquieto) follows, a one-minute panel for percussion that is by turns jazzy, sinister, and even sensual. No. 4, "Dances" (Allegretto), is arguably the most exotic movement: it begins with a springy, jazzy beat from pizzicato strings, over which a flute delivers a sultry yet playful theme. The grotesque eruption midway through is brilliantly colorful in the harsh scoring for brass and saxophone. The ensuing "Anthony" (Andante mosso) is brighter, but also pompous and oddly oafish. The sixth movement, "The Fall of Cleopatra" (Lento doloroso), is the dramatic heart of the score: the aforementioned exotic theme from the second movement grows warmer and more lovely upon each appearance here, transforming at the end into one of the composer's most delicately beautiful creations, as the strings soar to the heavens gently singing its strains. The closing movement is "Roma Militaris" (Andante maestoso), a harshly but brilliantly orchestrated finale, deftly evocative of the Roman military. Egyptian Nights typically lasts just over 20 minutes.